Case #1. The website doesn't work for me with data spinning all the time. This issue is most likely caused by some kind of add-on or plugin enabled in your browser, like Adblock or something of the kind, sometimes it is also anti-virus software causing this. You can re-check if the problem gets solved by running any report with add-ons or plugins disabled. If the issue persists, try to clear cache and double-check with another browser. In case this doesn't help to resolve the problem either, contact us for further assistance. Case #2. The website can't be reached/accessed at all. 1. First off, check if this issue occurs for you only or if that is some technical downtime on our end - http://downforeveryoneorjustme.com/ahrefs.com. If you see "It's just you. 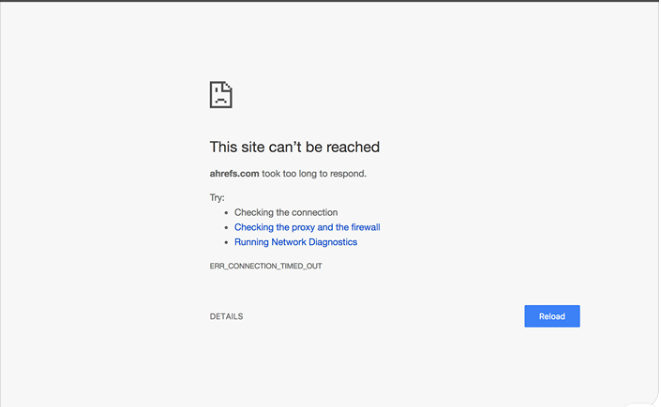 ahrefs.com is up." message, that means that something on your end prevents from loading the site normally. Read on to know what to do next. 2. Try to clear cache, check if website loads with another browser or another network (from mobile, for example). Worth checking with your Internet provider if anything on their end might be blocking the website. 3. Reset your DNS settings (check this article for steps of doing that). 4. 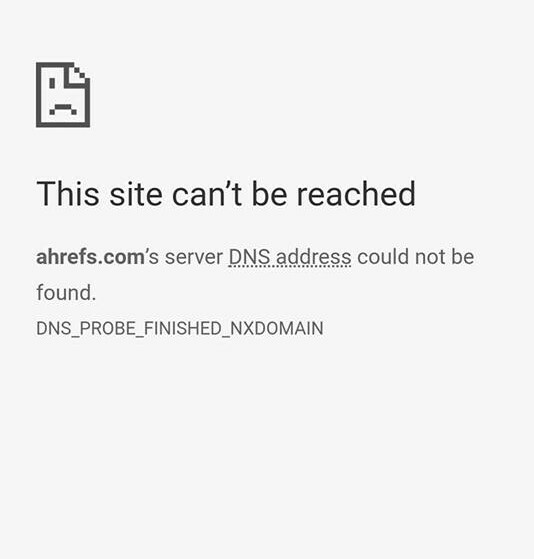 Do traceroute to ahrefs.com and contact us with results. 5. Open console while reproducing the issue (Press Ctrl + Shift + J (Windows / Linux) or Cmd + Opt + J (Mac)). We might be able to find the reason there. Make a screenshot and send over to our support team.